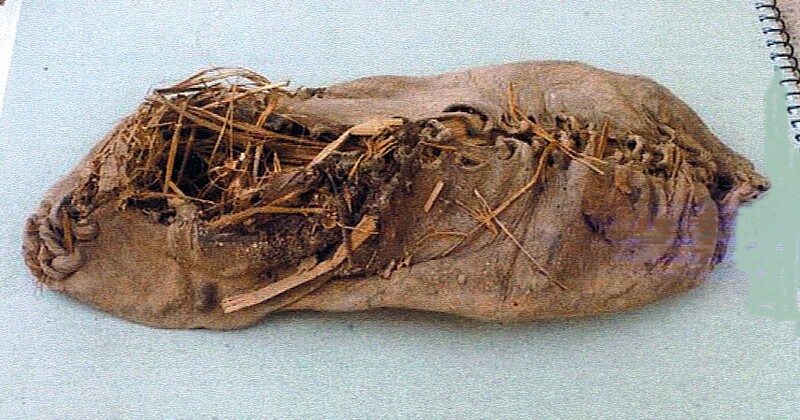 This entry was posted in Science and tagged world's oldest shoe. Bookmark the permalink. What do I have stored away? The shoes I wore at our wedding along with the penny that was in one of them (for good luck). I guess the penny worked. In scouts we made moccasins, and mine looked surprisingly like this one. I don’t remember it holding up very well, but then I didn’t know the secret of preserving it sheep dung, either.